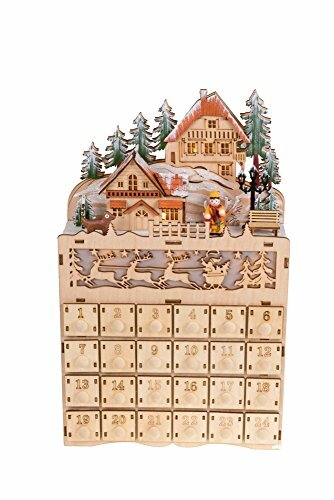 Perfect on tables, shelves, counter tops, and more, this advent calendar measures 8.75" x 3" x 14"
COUNT DOWN THE DAYS: Count down the days until Christmas day with the numbered drawers on this advent calendar. You can put small candies, toys, or even special messages into the drawers so that every day you count down you get something special! This advent calendar requires 2 AA batteries (not included).